While we may remain cynical about phone/tablet hybrids such as Samsung’s Galaxy Note and LG’s Optimus Vu, sales reports suggest that consumers are embracing them with open arms. 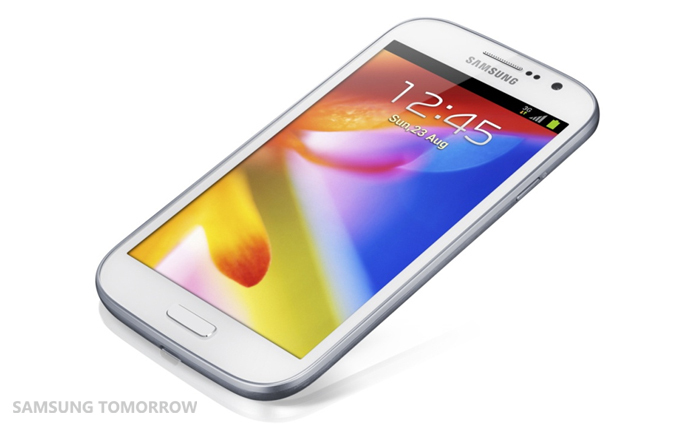 As such, it comes as no surprise that Samsung has announced a new phablet model pitched at the mid-range market. 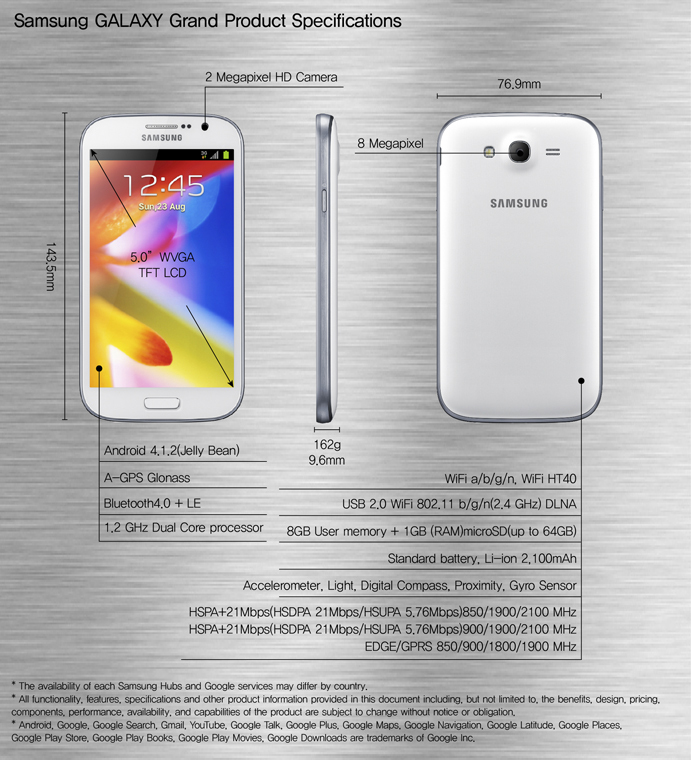 Running TouchWiz-encrusted Android 4.1.2, the Galaxy Grand sports the usual array of Samsung-only features such as Direct Call, Popup Video and S Voice, all powered by an as-yet unspecified 1.2GHz dual-core processor. Sharing many design elements with the S III and Note II, the Grand also features a 5″ display with an 800 x 480 display, producing a less-than-average 187ppi. It also has 8GB of on-board storage that can be increased by 64GB with a microSD card and a 2100mAh removable battery, alongside an 8MP rear camera and 2MP front camera. If the Galaxy Grand sounds like your cup of tea, you will be able to pick it up in either single-SIM (GT-I9080) or dual-SIM (GT-I9082) versions, although pricing and release information has not yet been confirmed. What has been confirmed, however, is that the dual-SIM model will launch first, although we expect to hear further information at CES in Las Vegas next month.